Participants at Yoga in the Park at Shor Park demonstrate a group tree pose. July 2015. Participants in Yoga in the Park at Shor Park, July 2015. BATAVIA, Ohio (July 8, 2016) — Clermont County Park District is partnering with Interact for Health and East Cincy Yoga to offer free Yoga classes at Shor Park in Union Township. The classes were made possible through a grant from Interact for Health – Join the Fun program. Certified yoga instructors from East Cincy Yoga guide participants of all abilities through each class. “The Park District wants to encourage people to be active in the parks as part of a healthy lifestyle. 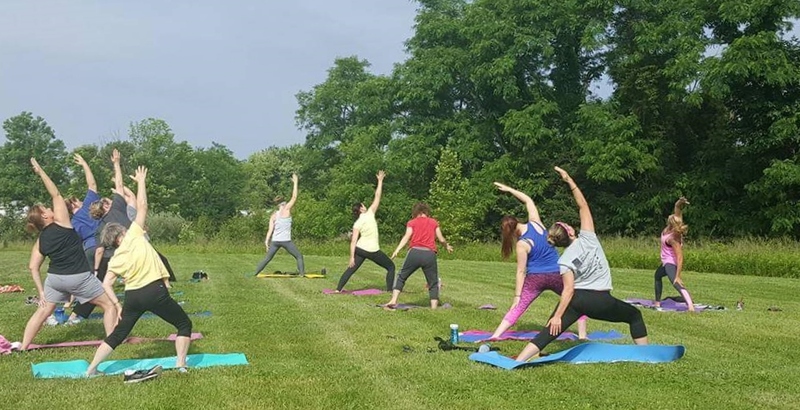 Yoga in the Park is a different and new program to help people to get active in the parks,” said Chris Clingman, Director of the Clermont County Park District. The free classes are each Saturday morning from 9-10:15 a.m.at Shor Park. Adults, from beginner to advanced, are welcome to attend. Please bring a water bottle (required), towel and a mat if you have one. Complimentary mats will be provided on a first come, first serve basis. For questions, call Lori at East Cincy Yoga at 513.331.9525. Shor Park is located in Union Township at 4659 Tealtown Road at the intersection of Schoolhouse Road. 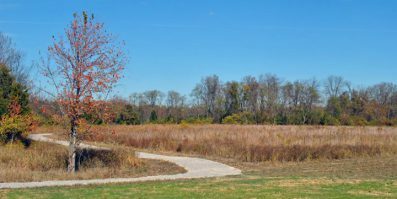 About Clermont County Park District: Clermont County Park District consists of five parks, three nature preserves, Williamsburg to Batavia Bike Trail, and several greenspaces, protecting more than 600 acres of Clermont County’s natural heritage. For more information on the Park District go to http://www.clermontparks.org/ or call 513.732.2977.